Bring home a personal trainer to help you get started down the path to fitness today! These descriptive video seminars show you how to enhance your fitness level the right way. This informative and fascinating video lecture by Dr. Ben Bocchicchio explains how you can lose fat and build muscle with just two 15-minute workouts a week! Internationally renowned exercise physiologist Dr. Vincent 'Ben' Bocchicchio describes and discusses his metabolic makeover program in the first part of his three-part lecture series. In this DVD, you will learn about Dr. Ben's Metabolic Makeover program in detail—from his S.Ma.R.T.-EX™ slow resistance training system to the scientific and physiological principles behind it. Learn how you can change your body and the quality of your life with Dr. Ben's Metabolic Makeover. Learn why doing more exercise and eating less fat won't help you lose weight! This revealing educational talk conducted by Dr. Ben Bocchicchio reveals and discredits many of the accepted ideas about diet, exercise, and weight loss. Dr. Ben, an expert in fitness and health for 40 years, discusses and demonstrates the best combination of exercise and diet to help you achieve optimal results. Lose fat, increase lean muscle, and increase your metabolic rate permanently. Learn what to eat and what not to eat, why fat in your diet can be good, and how his scientifically proven exercise program of two 15-minute resistance-training sessions a week really works. This informative fitness and health talk conducted by Dr. Ben Bocchicchio exposes and questions many of the accepted ideas about diabetes, diet, exercise, and weight loss. The video also includes a demonstration of Dr. Ben's S.Ma.R.T.-EX™ workout. Dr. Ben, an expert in fitness and health for 40 years, discusses the best combination of exercise and diet to help you achieve optimal results. Learn how his scientifically proven exercise program of two 15-minute resistance-training sessions a week really works. Lose fat, increase lean muscle, and increase your metabolic rate permanently. Own all three of Dr. Ben's exceptional seminar videos for the greatly reduced price of $44.95 - a savings of almost $15. Included in the set are Dr. Ben's Metabolic Makeover, Dispelling the Myth: More Exercise and Eating Less Fat is Not the Answer, and Dispelling the Myth: What Your Doctor Doesn't Know About Diabetes, Weight Loss, Exercise and Diet. See the listings above for details on these DVDs. 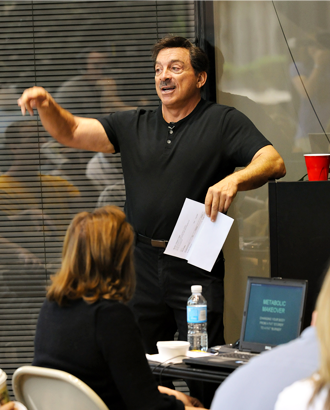 Internationally renowned exercise physiologist Dr. Ben Bocchicchio has taken his proven S.Ma.R.T.-EX™ exercise program to a new level with the Total Gym. With slow, precise movements, the S.Ma.R.T.-EX™ program allows you to focus on form while simultaneously stretching your major muscle areas. 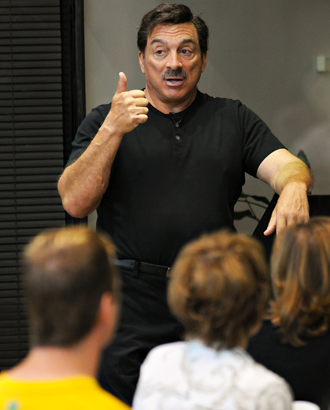 Dr. Ben's S.Ma.R.T.-EX™ exercise program was designed to produce the most return in the least amount of time. It has repeatedly demonstrated exceptional results with two 15 to 20-minute sessions per week. That's twice a week for 15 to 20 minutes each time! Within three to five weeks, most people can "see" and measure increased lean tissue (muscle), enjoy an increased metabolic rate, and experience fat loss with an average of more than 20 percent of their body fat.